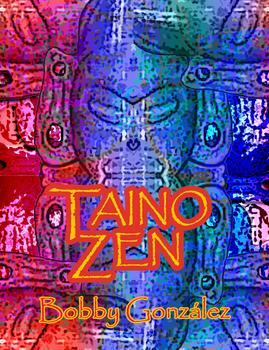 Taino Zen is a unique volume of meditative verses that deliver a reflective message that urges all people to reconnect to their cultural origins and to cherish them. Knowing and acknowledging our beginnings is a precursor to creating a just and peaceful world for the next seven generations to come. Bobby González is a nationally known multicultural motivational speaker, storyteller and poet. Born and raised in raised in the South Bronx, New York City, he grew up in a bicultural environment. Bobby draws on his Native American (Taino) and Latino (Puerto Rican) roots to offer a unique repertoire of discourses, readings and performances that celebrates his indigenous heritage. Bobby has lectured at many institutions including Yale University, the University of Alaska-Fairbanks and the University of Alabama-Huntsville. As a storyteller he’s had the privilege of performing at Carnegie Hall, the Museum of Television & Radio and the Detroit Institute of Arts. He has given poetry readings at the National Museum of the American Indian, the University of North Dakota and the Nuyorican Poets Café.